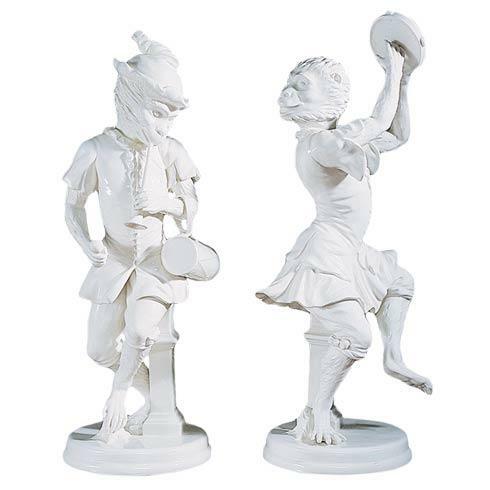 Mottahedeh ~ Dancing White Monkeys, Pair, Price $950.00 in New York, NY from William-Wayne & Co.
Chinese Export For The West Was Often A Riot Of Color And Fantastic Animal Images. The Butterfly And The Mallard Join Our Ever-Popular Carp And Rooster Shells And Platters. These Pieces Feature Matte Burnished Gold And Accent Flowers.